Welcome to the Content Contributor thread! 1. 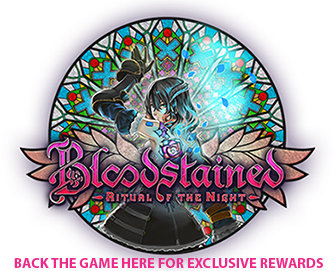 To gather all backers contributing content to Bloodstained:Ritual of the Night. 2. To give these backers a chance to share their content ideas with each other and the community. 3. To create an atmosphere of collaboration, thoughtful commentary, and constructive criticism. 4. To inspire, nurture, and sharpen creative ideas for the highest quality content possible. 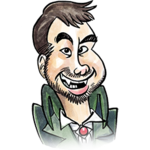 Content Contributors are high level backers designing content for Bloodstained: Ritual of the Night. These backers earned their privilege by supporting the Kickstarter campaign at the following tiers. What kind of content are they contributing? Each RUNIC FORGER will contribute one weapon. Each HOUNDS OF HELL will contribute one pet-themed monster. Each DEMON SUMMONER will contribute one monster. Each CACHE OF THE OCCULT will contribute one weapon, one monster, and one secret room. All content ideas will be subject to rules. Please see the updates below for details. How many Content Contributors are there? Who are the Content Contributors and what are their ideas? Please see Content Contributor List toward the end of this post. Can I become a Content Contributor? No, but you can still share your ideas and contribute to the discussion. Runic Forgers were contacted with the following instructions and guidelines. Thank you for backing the RUNIC FORGING or CACHE OF THE OCCULT tier. Regarding the backers' weapon designs, first we would like to gather everyone's weapon concepts to know how many different kinds of weapon there are and the total of it. First, we would like to know the basic weapon type and its element. Please submit your weapon concept through our Google Form. A Google account will be required and your submission can be edited after its been sent. For those who do not have a Google account or cannot view the form, please email us with the answers for the following options below. Previously we shared 8 different kinds of weapon motions. Select the Elemental Attribute and Special Effect for the weapon below. Note: weapons can only have abilities from the provided list of options (e.g. “screen shakes when swinging a weapon” is not available). The strength of the weapon will be adjusted by the team based on the Elemental Attribute, Reach, and Range of the weapon. Additionally, adding Special Effects (Poison, Curse, & Stone/Petrify) will weaken the physical strength of the weapon. Regarding the weapon strength, please select one from the two below. Option 1 - Your weapon can be obtained through enemy drops and/or throughout the castle (along with the other in-game weapons). The strength of your weapon and spawn location will be decided by the team, and therefore, may have weaker or stronger stats compared to the other weapons in the game. This weapon cannot be upgraded, however it can be encountered in every playthough. Option 2 - Your weapon starts off weak, but will have the potential to become one of the strongest weapons in the game if you level it up. This weapon type will be categorized under "Backer Weapons” (temporary name) which the player can only hold one of at a time (but they can be swapped out for other Backer Weapons at an in-game shop). Please keep in mind that this weapon type will not be listed in the game’s item collection glossary, and will be an optional weapon for players to encounter in each playthrough. * The strength of the weapon will be adjusted accordingly based on the attribute, reach, and range. To put it briefly, adding special attributes will weaken the physical power. We would like to receive the above information by January 31st (We apologize for the short notice). There may be some people who would like to change their design choice later on, so we will be emailing everyone once again for confirmation before we move onto the actual weapon design. We have made an error on the backer weapon specification. Regarding the guns in the game, this time we are using consumable bullets that are sold separately. Those bullets will have certain elemental attributes from the beginning. We sincerely apologize for overlooking this piece of information. This means, for those who have chosen a gun as their selected backer weapon will not be able to add elemental or additional attributes to their weapon. To those who have chosen a gun as their selected weapon, please edit the Google Form with "None" for elemental and additional attribute. You may also reconsider your weapon choice (edited survey form will be auto-saved). Cache of the Occults were contacted with the following instructions and guidelines. 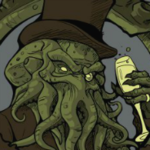 Thank you for funding the CACHE OF THE OCCULT tier. We would like to hear about your secret room design. First, we would like to hear the basic description, illustration, or photos of your room design by December 16, 2016. After that, we will discuss the design with the development team to create a plan and see if there are any problems. As we have mentioned in our campaign, please note that the rooms will be adjusted to fit the atmosphere of the game. - "Room Name" will be displayed when entering the room for the first time. - The room will be initially locked so you will need a special key to enter. We also accept requests, such as placing an enemy inside the room, or not displaying the "Room Name" upon entering the room. Think of the "Room Name" similar to the location name displayed upon entering a new area in Symphony of the Night. We also accept the name of the room if you have one already. We look forward to your design. Hounds of Hell were contacted with the following instructions and guidelines. 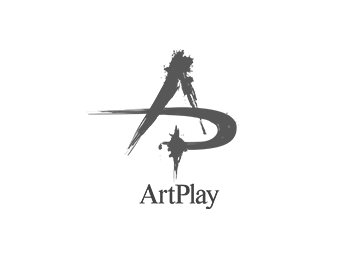 This is IGA from ArtPlay. The team would like to thank you for backing the UNLEASH THE HOUNDS OF HELL tier for Bloodstained: Ritual of the Night Kickstarter campaign. In our current development progress, we would like to see everyone's pet (or an animal of your choice) to start solidifying the enemy concept. I know everyone must be very busy but please send us a photo of your pet/preferred animal by October 13, 2016. Demon Summoners were contacted with the following instructions and guidelines. The team would like to thank you for backing at the DEMON SUMMONER (or CACHE OF THE OCCULT) tier! Before we start the designing process, we would like to know the basic design of your enemy in order to avoid overlapping with our current enemy line up. We would like to receive a simple overview of your enemy design by September 12, 2016. Please feel free to give us a reference from past Castlevania games or other games that will help us get a better picture of your design. After we give you a feedback on the overview, we will proceed with the following process below. 1. Please provide us with a description and/or an illustration of the enemy design you would like to have created. Please be as descriptive as possible. 2. Please describe each of the “Enemy Behaviors” (listed below) you would like it to have. Our team can also create some (or all) of the enemy behaviors for you if you’d like. 3. Any special movements that don’t fall within the “Enemy Behaviors” list will need to be discussed with the team. 4. All aspects of the enemy creation process are subject to content restrictions, feasibility, and team approval. We will contact you with further correspondence if there are any issues with your enemy design. Please note that the larger the enemy, the fewer attack patterns it can have. “Movement” can be replaced with another behavior, such as if your enemy does not move (like the Morte Cannon). Please provide us with the name of your enemy. Please provide us with the in-game description of the enemy. This is not necessarily a complete list, and the team will correspond with you regarding any issues, adjustments, or redesigns that will need to be made. "Let’s beat that girl named Miriam with the enemies you and our team designed!" Well I picked the "Backer Weapon" option cus I want my weapon to become stronger and change over time, I have also pick no elemental effect to it. Ok so for the weapon im looking forward to make will start out kinda like "Narsil" in its broken form and will work with the dagger/thrust moveset, then after time/upgrades from the hilt and fractured blade crystals will start to reform a new blade. Well that what I'm aiming for my weapon. "I'm one of the runic forgers. Hoping to design a whip for Miriam once details come out." "I'm also one of the runic forgers. I want to design a giant-battle axe for Miriam to use. The idea behind it though was a risk-reward type style. Something like, you take more damage, but deal more damage as you kill enemies without getting hit etc." "I will try to give a detailed breakdown of my thoughts when I have a bit more time, but the bottom line is that I intend to memorialize my late kitty who sadly passed during the campaign (the reason I decided to back at the Hounds of Hell tier). I can't wait for you all to encounter my ferocious little buddy in the game!" "As Promised, here's my initial idea for a monster based on my pet cat "Kamikaze"(Kaze for short). I would like Kaze to appear to be a docile enemy at first glance. Inhabiting comfortable indoor rooms such as bedrooms, lounges, libraries etc. 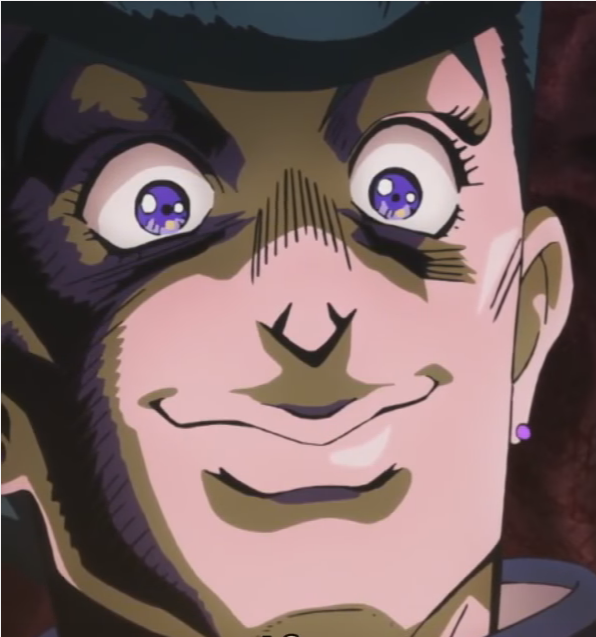 He would be stationary and neutral to players unless provoked, at which point he would become enraged and relentlessly attack the player with complete disregard for his own safety. If you leave him alone, he's a cozy cuddle buddy, but if you poke him you will have to deal with a raging bull. In addition he would have a small % chance to enrage regardless of the players behavior, giving him an element of unpredictability. 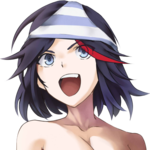 If possible it would be extra cool if his neutral state allowed players to drop food items and trigger a "happy" animation just for fun. Neutral (Idle) - Default state > Stationary with a simple looping animation, maybe curled up into a ball with a slow waving tail. Eyes are not visible. Enraged (Attack) - Triggered by any hostile action from the player, or randomly with an extremely low % chance. > Eyes glow red and he indiscriminately charges and/or leaps at players with claws and teeth. Attack should continue until the player leaves the room, dies, or the enemy has been defeated. Happy (Bonus Flavor Anim)- If the player drops a food item, Kaze should react with a simple animation showing his gratitude. i.e. purring and walking in a circle before returning to his Idle state. This should still be subject to the small % chance to enrage." Bandit Blade --A Lucky Sword favored by thieves. Revenant --The restless remains of a famous Vampire Hunter. Dimensional Gate --A mysterious doorway to another world. Thank you for visiting. Please share your comments below! I've been waiting for a topic like this. I wanna hear the ideas people are coming up with. If one of the monster content contributors decides they want a chimp with a machine gun while being feasible with Bloodstained's atmosphere and design, I will love them forever. I'm a backer, and I contributed to several @%%@storms in the community! Does that count? (kidding, don't think I ever contributed to one). Only one I've sort of contributed is the Donut Knight idea, aside from some various other pokes and prods. Would love to hear other ideas, as well. My guess is the higher tier backers don't frequent forums. Probably making back the $ they spent, or grovelling to their spouses or significant others for forgiveness over spending a nice chunk of money on a game. May luck stand beside you this day! We're currently making the fill-out sheets for the content contributors here at ArtPlay. Requests will be spaced out throughout the year, but we're hoping to get the first set sent out very soon . On the other hand, I personally would like to hear the contributors' ideas if they're lurking this forum! If someone were to read through the introduction thread, I remember at least one person mentioned backing at a content creation level. Tag them in this post. If they do not reply but they are tagged here, I'll send them an email. Power Purse --A fashionable handbag that becomes more powerful as it fills with gold. This weapon is inspired by Castlevania's Miser Ring. ATK power increases according to wealth. As Miriam greedily collects more and more Gold, the Power Purse grows larger and larger until it becomes the deadliest of all swinging weapons. Bloodlust Whip -- A bloodthirsty whip empowered by a Ancient Vampire's soul. This weapon is inspired by the Vampire Killer and the Muramasa. When Miriam equips this weapon, she is inflicted with "Vampire" status --think of it as Alucard's "Dark Metamorphosis" status with a twist. Not only will blood spatter heal Miriam, but she also becomes stronger at night and exposure to sunlight will kill her. And like the Muramasa, the Bloodlust Whip becomes stronger and stronger the more you use it. 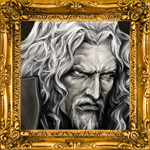 Undead Executive --A greedy publisher who refused to make any more IGAvania games. This corpse in a business suit tries to crush Miriam with a miniature Demon Castle. His behavior is similar to the Skeleton Ape, so he could be tricked into opening up secret areas for Miriam to explore. He drops Pachinko tokens. Easter Bunny --An insidious demon who entices children with candy colored eggs. This monster takes the "Easter Egg" concept quite literally by dropping some combination of the following. 1. A Castlevania "Easter Egg" item. 3. A hard boiled "Easter Egg"
Conert Hall --A large auditorium where Miriam can meet Michiru Yamane, Ippo Yamada, and Jake Kaufman as NPCs. This room would function as a glorified sound test where all three musicians take requests to perform music from throughout the game. It might also be interesting to have a sidequest where Miriam collects bonus tracks hidden throughout the game like the Dracula X Chronicles. Miriam's Room --A haven for Miriam to relax and recover from her adventures. Hall of Distinguished Backers --A long hallway that displays large portraits of all the "Ancestral Bloodline" backers. This one was posted in the Runic Forging topic by the very creator of this current thread! I remember I brought up having the content contributors do this a while back and at that time, there was an issue with Fangamer preventing them from moving forward with it. I'm glad whatever that was must be resolved now? If I remember correctly, I think I suggested something along the lines of: It might be better to wait until we know exactly what the specific details are from the team regarding designing the high tier in-game items before creating a collaboration thread about them. Currently that framework isn’t yet finalized, so the ideas that are collaborated here may not necessarily be implementable without prior knowledge of what the specific options and limitations for each item are. This is why i haven't really submitted an ideas/designs for my weapon, it would stink seeing that my weapon wouldn't be able to work in the game when the framework is done. UFO boomerang with paddle balls on strings is NOT a good weapon? Well. . . that would be the obvious choice if it would work. Now that Art Play is working on the content contributor surveys, it seems like a great time to send Mana that list of questions from my last email. Hopefully she can speak with Igarashi to help us clarify the options and limitations. In the meantime, why not contact the content contributors and invite them to join the forum? We have a passionate and creative community that would love to provide honest feedback on their content ideas. And who knows, maybe we can help someone looking for inspiration.